Insights from ongoing research on IoT Platforms. We are currently witnessing an explosion in IoT deployments and solutions around the world. IoT platforms are emerging as the central backbone of these IoT deployments – By 2023, the IoT Platform market will reach $22.3 billion. These IoT Platforms are the key for the development of scalable IoT applications and services that connect the real and virtual worlds between objects, systems and people. However, as the IoT Platform market represents a truly new segment that was almost non-existent a few years ago, the landscape is complex and changing very quickly. These days many companies offer an “IoT Platform” but a closer comparison reveals vast differences. For a newcomer it can be difficult to understand whether this term refers to a complete and mature IoT cloud platform or whether the term has been stretched to describe just an element of a platform – or even something completely different. 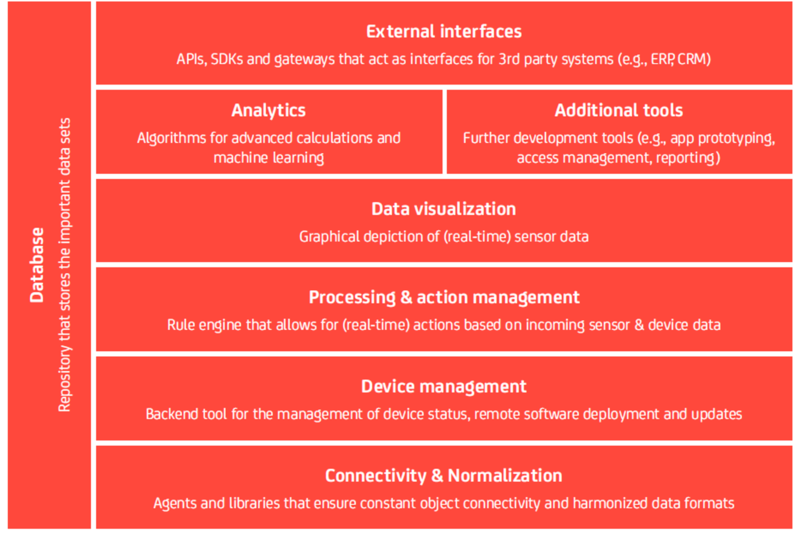 When we talk about an IoT Platform we generally refer to an IoT Application Enablement Platform (see #2 below for the eight technological elements of these platforms). Consumer/Enterprise software extensions. Existing enterprise software packages and operating systems such as Microsoft Windows 10 are increasingly allowing the integration of IoT devices. Currently these extensions are often not advanced enough to classify as a full IoT Platform – but they may get there soon. The different types of IoT Platforms and the complex IoT Platform offerings create confusionA confusing aspect of IoT Platforms is that companies are starting to combine different services. IBM for example is combining its IoT Foundation application enablement platform with its Bluemix IaaS backend. Jasper and Telit, two companies that have traditionally focused in the Connectivity / M2M space have now added IoT application enablement capabilities to their offering. Connectivity & normalization: brings different protocols and different data formats into one “software” interface ensuring accurate data streaming and interaction with all devices. Device management: ensures the connected “things” are working properly, seamlessly running patches and updates for software and applications running on the device or edge gateways. Processing & action management: brings data to life with rule-based event-action-triggers enabling execution of “smart” actions based on specific sensor data. External interfaces: integrate with 3rd-party systems and the rest of the wider IT-ecosystem via built-in application programming interfaces (API), software development kits (SDK), and gateways. 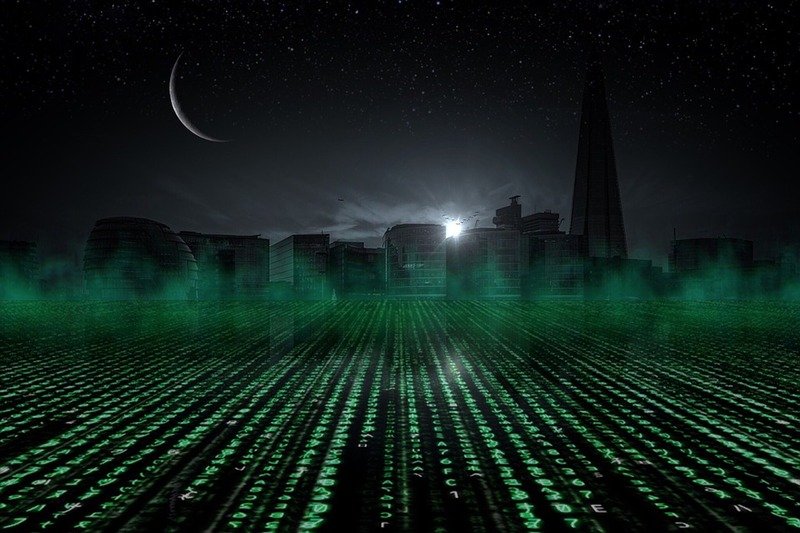 Note: Built-in security by design is a must-have element for all of these building blocks; the platform architecture has to be holistically designed so the threat of cyber attacks is minimised at every level. Investment approach: Tactical investments throughout the IoT ecosystem (e.g., Cisco). To create a true IoT ecosystem, where systems of systems interact and generate value from diverse streams of data, interoperability is essential. No one IoT platform will be able to cover the wide spectrum of existing and potential use cases yet to be envisaged. New open source approaches where IoT platforms work together for the “greater good” are enjoying increasing success. 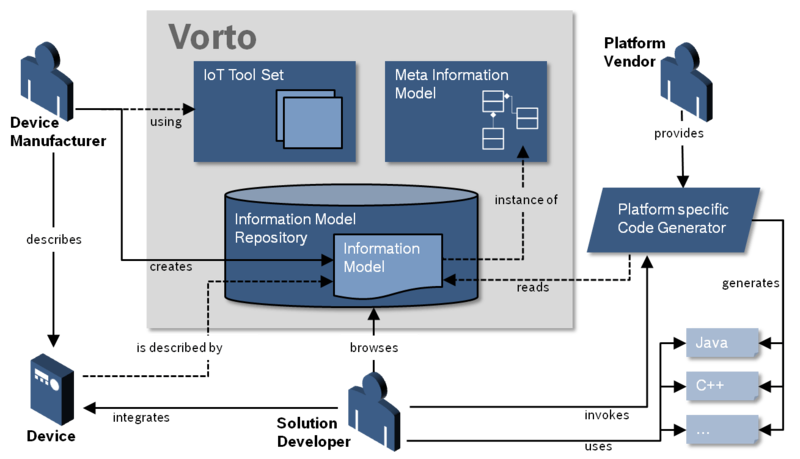 Open source tools such as Vorto – backed by the open Eclipse community – are providing the missing link, implementing a common framework for information modelling that eases integration and promotes interoperability between platforms and the entire IoT ecosystem. For example, PTC and Bosch Software Innovations collaboration is a prime example of a major technology alliance using Vorto to facilitate the integration and technical interplay between their two platforms. Gathering and connecting data points from billions of physical objects is fundamental to letting new IoT business cases come to life. As Robert Metcalfe postulated in the 1980s: “The value of a telecommunications network is proportional to the square of the number of connected users of the system”. Generating insightful data is the key to unlocking this value. This trend will be seen in many industries: selling the main product becomes a by-product, while the business model around the data becomes the main product. Companies are shifting their business models from selling products to handling data On top of that, we will see the creation of entirely new industries that build business models solely on IoT data and use hardware partners to get access to the necessary data sources (e.g., the insurance industry of the future). The IoT Platform itself becomes an essential enabler, a means of gathering and making sense of the data, while the real value will come applying the resulting insights to create great IoT services (e.g., predictive maintenance) for connected businesses. Wonderful information. Can I get some insights on consumer products connectivity with IoT? Great summary about different IoT platforms. Would like to point out that we from Zenodys, the visual IoT platform covers all 8 blocks. i want to conect some company in iran at this field but i don’t know those company? I am a co-founder of an IoT startup in Taiwan. I found this topic very interesting. Can I translate your article into Chinese and publish on Medium.com under my account name? Thanks for the great article. I understand the IoT market will be far bigger than USD 1Bi as mentioned on the article and only the BaaS market will reach USD 30 Billion in 2019. Players, such as, Parse, Back4app, Appcelerator and Kynvey and growing in a very fast pace and can speed up IoT integration. That’s some great content on IoT platforms. Would like to mention Teramatrix’s xFusion, the IoT software platform comprises all 8 components of IoT Application Enablement Platform. Great detail about IOT Platforms and basic building blocks of IOT. Great article about IOT platforms. I am interesting to provide solution for IOT consumer development and wonder any open source development platform or tool available today. Thanks for the great article. Would like to mention KAA, the IoT open source platform. he Rayven Iot platform simplifies the process of developing and delivering powerful IoT/M2M applications. Where you can connect , configure, deploy, analyze & optimize your smart products, from one centralized powerful & flexible IOT platform. Its all drag and drop with no coding needed. 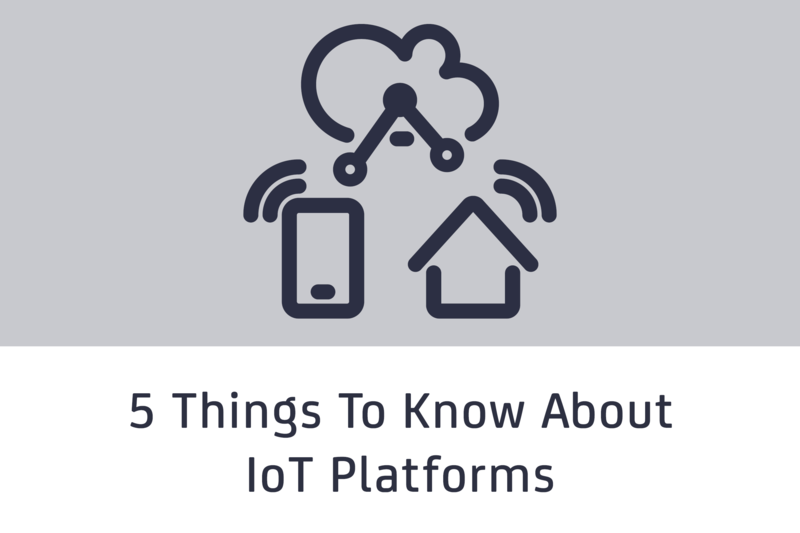 Very Useful and Informative Information,IoT platforms are growing across all LoB. Great insight. I think it’s an important distinction – one that will probably clarify itself in the marketplace eventually – between a true IoT Application Enablement Platform and the other types of partial or ancillary solutions that fall under the IoT Platform label. A great example of a true end-to-end IoT Platform is B-Scada’s Status Device Cloud (http://scada.com/software/iot-platform). IoT Platform solves just a small part of the problem; it doesn’t provide the entire IoT solution. Any IoT platform will need to be configured, modified and integrated with back-end systems and data to best meet the requirements of the specific IoT project or deployment. On the other hand An End to End IoT solutions includes everything starting from gateways to IoT platforms, server management to analytics.